Invitation for cooperation with private property owners! 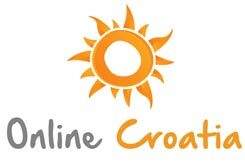 If you own registered holiday rentals (vacation rentals, holiday rentals, rooms and villas) in Dalmatia we invite you to present your rentals on our web site www.online-croatia.com for free and become part of Online Croatia offer. 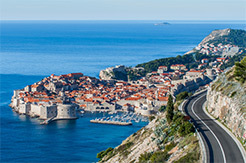 Online Croatia agency is specialized for private accommodation in Croatia and has been operating successfully for seven years with its base in Dubrovnik. Six employees with enviable knowledge and years of experience in the tourism industry are available via e-mail, phone or in person for all the information. 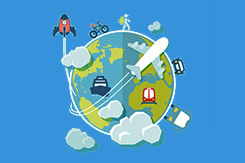 Accommodation is presented and advertised on nine international languages via specialized web site www.online-croatia.com. Web site is optimized for most popular keywords and has more than 4000 unique visits per day during the high season, which means that every day more than 4000 potential guests browse more than 700 accommodation facilities. Agency works with all major European markets. Agency Online Croatia is one of the top 5 agencies specialized for private accommodation in Croatia! Neither we are ideal partner to everybody, nor everybody is ideal partner for us and we are not afraid to say it. Take into the consideration that agency's commission is 15%. If the selling price of your accommodation is higher than the competition (accommodation with similar characteristics) there will be no demand for your accommodation so we really do not want to waste your time. Every accommodation unit on www.online-croatia.com has availability calendar which you update by yourself logging to your user system by the password you receive later. At the same time, logging to the system you are increasing your appearance in search result and your unit is on better position. Therefore, if you do not have time to keep your calendar up to date, cooperation and further advertisement of your unit will no longer be possible, so we do not want to waste your time. Also, if the agent calls you to confirm the reservation and you, because of the wrong calendar, refuse the reservation, after 2 cases like this your unit will be archived. The more reservation we make for you and the more you get positive comments from the guests, you have better position on our web site and your accommodation unit sells better. So if you are interested in serious cooperation on a long term, you are on the right place! We cooperate with accommodation units with tastefully decorated space and who understand the needs of today's tourists. Given our experience in the sale of private accommodation, we alone assess whether or not the accommodation is interesting for our customers. 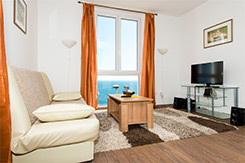 To make your accommodation characterized as an interesting one, except the location, you must fulfil at least some of these requirements for equipment: free high-speed Internet access, dishwashers, washing machines, chairs, air conditioning and tasty decoration. It also adds value to receive pets, have baby cot and as much equipment in the kitchen. Please note that accommodation without living room is not preferred and does not get much inquires. Agency is in contact with clients and works with the commission fee. Online Croatia agency is one of the few agencies that pays owners in advance, after payment by the customer is made The agency pays 20% maximum of 7 days after the reservation is made, and the remaining amount is paid by the guests to the owner directly at their first day of arrival. If you believe that we can achieve a successful cooperation, contact us with confidence.